Home » Digital Marketing » What are the 4 Ps of Marketing? 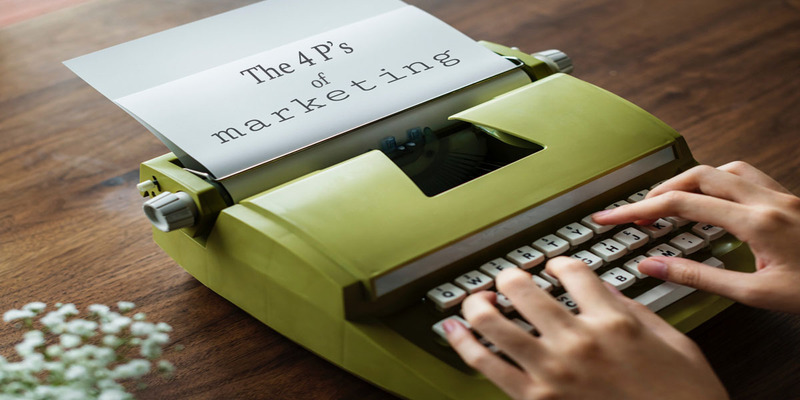 What are the 4 Ps of Marketing? The 4 Ps of Marketing originated from the term the “Marketing Mix.” This was first coined by Neil Borden in the 1940s. He explained in his Harvard Business School article, which was later published as a chapter in Science in Marketing by George Schwartz, that in order to successfully advertise a product one must employ a very balanced formula. This formula depends on many different factors including, but not limited to, the industry the company is associated with, the company’s long term and short term business goals, and its system of marketing management. Thus, the “Marketing Mix” is “the combination of manufacturing methods, product form, pricing, promotion and selling methods, and distribution methods” (Borden, N. H.). In other words, the company can decide the best “recipe” or “mixture” of these factors in order to effectively and efficiently sell its products. After Borden articulated his complex strategy, E. Jerome McCarthy decided to simplify and condense it. This shortened version of the “Marketing Mix” later turned into the 4 Ps of Marketing: Product, Price, Promotion, and Place. McCarthy also emphasized the importance of looking at the managerial approach to marketing, rather than the functional school of thought, which was the traditional perspective taken by many companies at this time. Thus, the 4Ps reflected this maturity and change that occurred in the 60s. Concerning the employment of this method in today’s day and age, the four variables, Product, Price, Promotion, and Place, are consistently used to satisfy a company’s business objectives and their consumers’ expectations of their product(s). The first variable of the 4 Ps of Marketing is Product. It is quite obvious that this ‘P’ stands for the actual, physical product and/or service a company is offering to customers. With this being said, it is also important to fully understand your product, not just from your company’s perspective, but rather, your customers’ point of view. Even if a business believes that their product represents one thing, customers might believe it represents something entirely different. It is highly valuable to see when, where, why, and how your customers use your product. You can later apply this data and research to modify and better your product which will naturally lead to more loyal customers and sales. In addition, a company must thoroughly establish a brand promise and brand reputation. A brand promise establishes a certain emotion, feeling, status, etc. within and for the customer who is buying the product. This creates a relationship between consumer and brand. In addition, brand reputation is acknowledging this relationship and nurturing it so that one-time buyers eventually turn into loyal customers. The second component of the 4 Ps of Marketing is Price. The price of your product affects your overall sales and revenue. You must make enough money to pay for the cost of producing the product and advertising it. It is quite easy to make a profit, but very difficult to make revenue. Studying the market of your product is also essential. Market research will allow you to see what pricing your competitors are currently employing and understand why they are doing so. In addition, it never hurts to look at world markets and what other countries are utilizing as tactics. This could lead to inspiration and new ideas that could potentially impact the popularity of your product in the country in which you and your company reside. The third ‘P’ is Promotion. This deals more exclusively with advertising. Promotion is the act of advocating your product in such a way that you encourage current customers to continue buying as well as draw the attention of potential customers. It can sometimes be tricky to promote a product to new customers without alienating former ones. So, it is important to keep this in mind when you are thinking of re-branding your product, trying new advertising tactics, and/or changing the look and feel of your product. Typically, promotional efforts are based off of target market research and data analysis. A company must first truly understand its target audience and what they are looking for in their product before promoting it. Once this has been accomplished, then the type of advertisements and promotions can be created to specifically target the chosen demographic. It is also imperative to understand the psycho-graphics of your target market. Your promotions should reflect the target audience and their emotions in an effective, encouraging, and positive way. By doing so, you will able to embrace the target audience mindset and their environment thus establishing a relationship between brand and customer. The final ‘P’ is Place. This ‘P’ is referring to the placement of your marketing efforts. It is important to situate your product in the right place at the right time in front of the right customer. This will naturally lead to an easy and obvious purchase. Placement is imperative because if the customer is not in the right environment to buy a specific product, then he/she will either not purchase at all or delay the act of purchasing for a later time. The placement should be effortless and comfortable for the customer involved. For example, many treats, gum, and granola bars are placed near and around the cashier stations at grocery stories. There is a specific reason for doing this: those types of products are typically bought by impulse buyers. In other words, these products are bought at the last second without using much cognitive effort. Thus, this placement is highly effective for cheap and affordable products. It is highly essential to employ placement techniques when it comes to selling your brand/or service in order to reach your customers at the right time and place.